The Freeman Ranch brand was established under the ownership of Russell Freeman's great grandmother Carolyn Freeman on September 30, 1899. 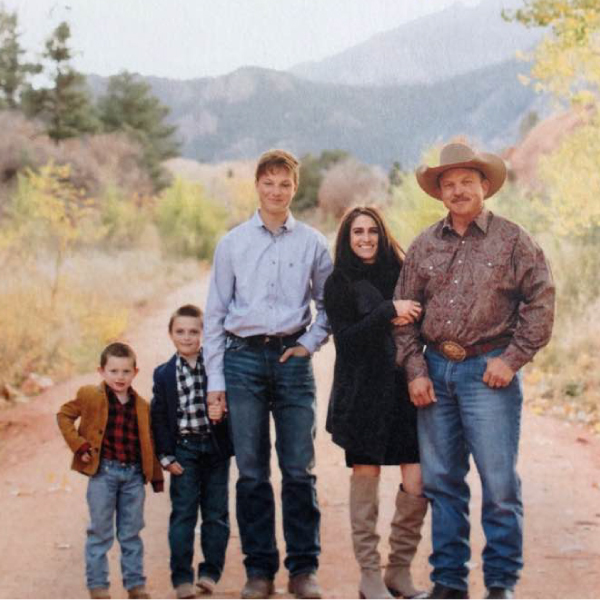 Today, Freeman Ranch is owned and operated by Russell and Jamie Freeman, and their three sons Whitt, Henry and Jack assist with the day-to-day ranching duties. The Freeman Ranch headquarters is located southeast of beautiful Colorado Springs; with part of the operation located in historical Kim, Colorado. The historic brand marks superior quality in both Freeman Ranch's horse and cattle operations. For 120 years Freeman Ranch has been raising beef responsibly, providing humane handled, drug-free meat to the front range of Colorado. Not only does Freeman Ranch produce champion longhorn cattle, but we also strive to create a tender, flavorful, delicious product that our customers can be confident in its natural wholesomeness. Freeman Ranch is home of Winning Honor, measuring 92 inches tip to tip, he is top four in the world for horn length. Freeman Ranch produces top quality horses for the equine industry. We pride ourselves in providing great horses for many uses, including ranching, riding, roping, trail riding, hunting, and many other uses. Specializing in Hancock and Blue Valentine Studs, the goal for Freeman Ranch is to produce multi-use horses with lots of great color and conformation with big strong bones and a solid disposition. The Freeman Ranch horse program is actively expanding, producing around 30 colts per year. We carefully select trainers and handlers that will give our horses a solid start so they can reach their maximum potential for our clients. To learn more about our horse program, or if you are interested in a Freeman Ranch horse click here.